March 26, 2013  Kelly was attempting to make the purchase to show how easy it is to get a semi-automatic rifle. The shop owner said he believes in Kelly's Second Amendment rights, but questioned his motives. February 3, 2013  A Super Bowl ad produced by a group backed by New York Mayor Michael Bloomberg uses old video of the NRA chief calling for limited background checks. The ad, which will air in some markets during the third quarter of the Super Bowl, comes amid a heated debate over guns. January 30, 2013  The national debate over gun laws has taken on urgency since last year's shootings at an elementary school in Connecticut and a movie theater in Colorado. Giffords, who was shot in January 2011, is adding her voice. At a Senate hearing, all sides made their cases. January 8, 2013  When children are gunned down in their classrooms, the former congresswoman says, it's time for change. Two years ago, she was shot and seriously wounded by a gunman who went on to kill six people and wound another 12. July 24, 2012  The former congresswoman, who was critically wounded by a gunman in January 2011, looks thrilled to be high up in the Alps. January 22, 2012  The Democratic congresswoman from Arizona said she will step down this week in order to focus on her health. Giffords was shot in the head and wounded last January as she was meeting with constituents outside a supermarket in Tucson, Ariz.
November 15, 2011  In a message to her constituents, the congresswoman says "representing Arizona is my honor." Her husband tells NPR "it's very possible" she will run for reelection next year. 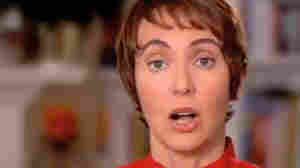 Giffords is recovering from being shot in January. November 11, 2011  The congresswoman and her husband have written a book about her recovery from being shot last January. Her interview with ABC offers the first chance for the public to hear from Giffords directly. 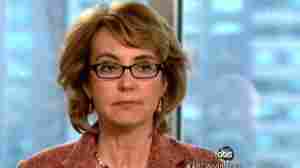 June 28, 2011  "She did not look sick at all," ABC News' Gina Sunseri says of Rep. Gabrielle Giffords (D-AZ) after the congresswoman's first public appearance before a large crowd since being shot and critically wounded on Jan. 8. June 21, 2011  "After some time off, I will look at new opportunities and am hopeful that one day I will again serve our country," he says in a statement. Giffords continues to recover from a gunshot wound she suffered on Jan. 8. 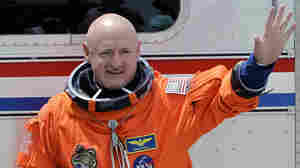 May 16, 2011  Aides say those were the first words from Rep. Gabrielle Giffords (D-AZ) after she watched this morning as her husband, Commander Mark Kelly, and five other astronauts successfully launched into space aboard the shuttle Endeavour. May 16, 2011  With wounded U.S. Rep. Gabrielle Giffords (D-AZ) on hand to watch as her husband and the other five astronauts launched, the shuttle is on what's scheduled to be its last mission. 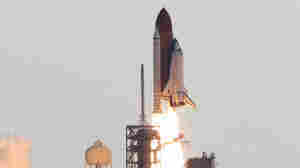 April 27, 2011  The Arizona lawmaker, still recovering from the gunshot wound she suffered during a Jan. 8 shooting rampage in Tucson, is going to watch her husband and the crew of space shuttle Endeavour launch on Friday. April 25, 2011  "Medically, there is no reason she could not travel safely to Florida to participate in this incredible event with her husband," the director of the neuroscience institute at Houston's TIRR Memorial Hermann Hospital confirmed today.